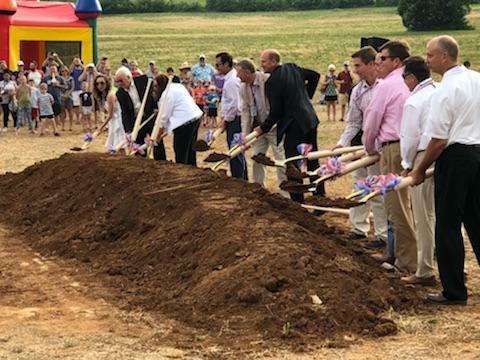 MADISON – If the line of cars on Zierdt Road and the hundreds of people who showed up for a groundbreaking ceremony were any indication, baseball has definitely returned to North Alabama. Close to 1,000 future fans of the yet-t0-be-named minor league baseball team turned out Saturday as BallCorps Inc. and the city of Madison broke ground for a $46 million baseball/multi-use facility. Fans received commemorative baseballs as well as free hot dogs and soft drinks. The groundbreaking event took place at the site of the facility – a “barren field,” as Madison Mayor Paul Finley put it – along Interstate 565 and Zierdt Road. It is expected to be completed in the fall of 2019 and the complex will include a Hotel Margaritaville. Plans are for the facility to hold other events, outside the 70 regular season baseball games. “There will be movies in the park, car shows, Scouting events; companies can hold events at the facility,” Finley said. “This venue will make a difference in the quality of life” in Madison. Ralph Nelson, the managing partner and CEO of BallCorps – the team’s owner, was emotional as he spoke. Then, Nelson, who has been involved in professional baseball for a quarter of a century, paused. 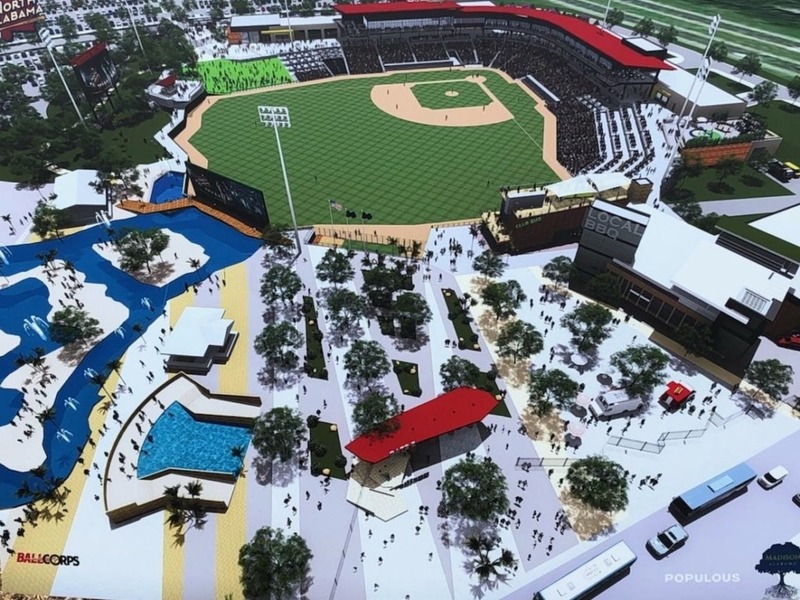 Artist’s rendering shows Madison’s new baseball stadium with a swimming pool behind the centerfield scoreboard.